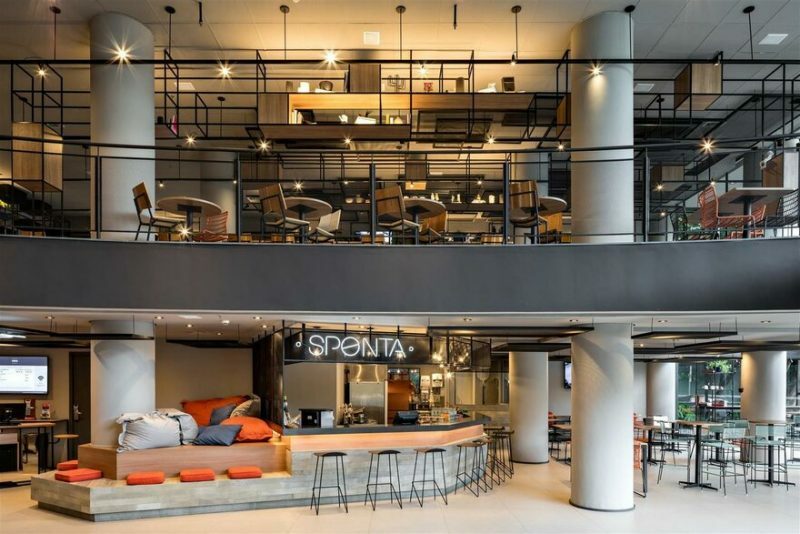 FGMF Arquitetos, led by the trio Fernando Forte, Lourenço Gimenes and Rodrigo Marcondes Ferraz, went to AccorHotels headquarters in Paris to present its new project, winner of the Americas stage of a global contest organized by AccorHotels’ Design area to renovate ibis hotels. 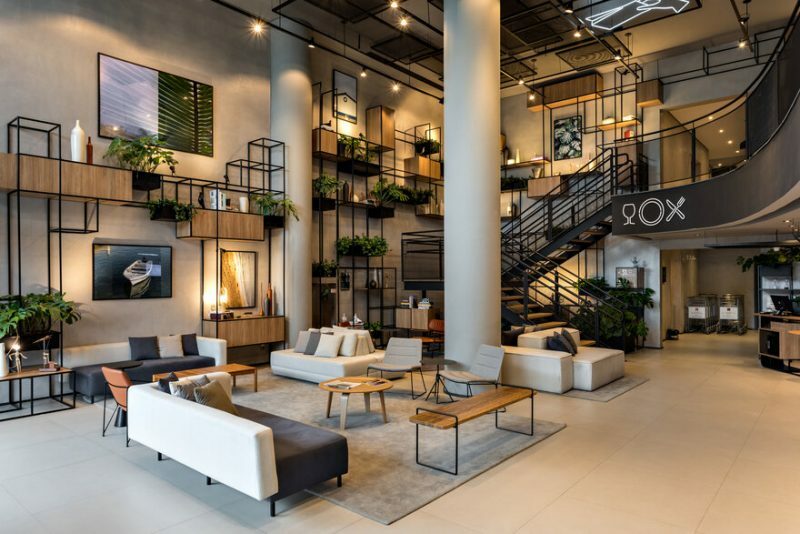 In addition to the design created by FGMF, two other layouts, one by Innocad (Europe) and one by Soda (Asia) were also selected, as part of the brand’s new flexible, personalized approach to turn its hotels into vibrant spaces. 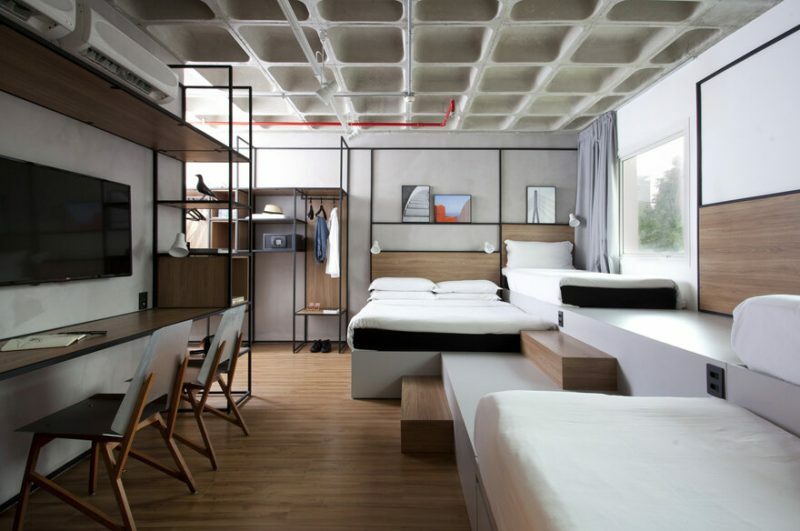 The concepts presented by these firms may be used by Ibis hotel worldwide, instead of following a single standard as they have done until now. 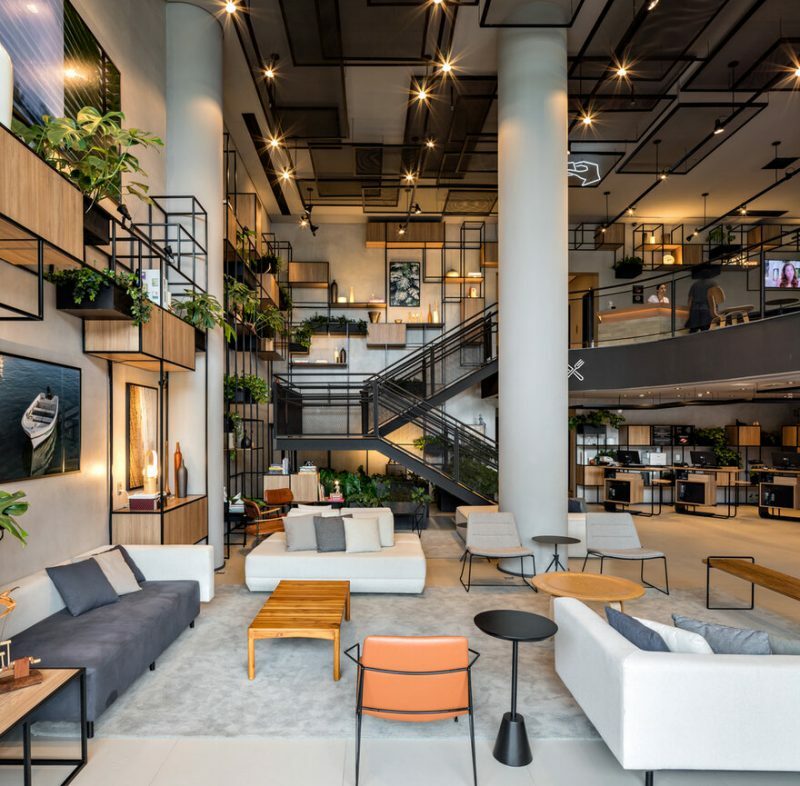 In meeting AccorHotels’ need for the ibis brand to offer experiences not only to guests, but also to its neighbors, the project focused on the renovation of common areas. 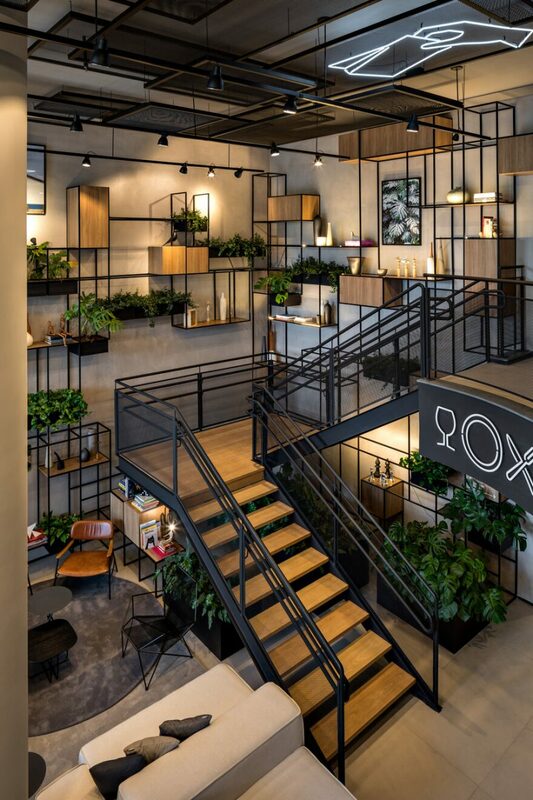 The firm proposed to transform the entire ground floor of hotels into a unique environment, communicating with and permeating their surroundings. 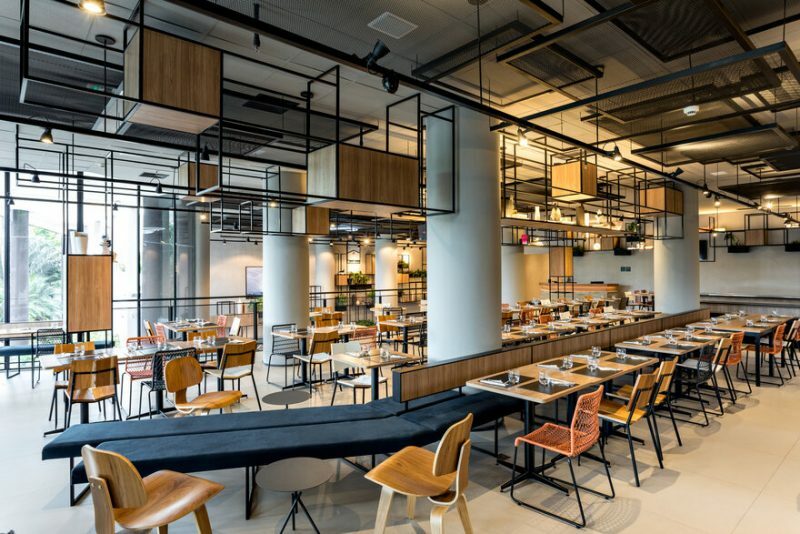 “The idea that guided this design was the creation of a dynamic, lively space, with bar and restaurants open to the city, not only to guests. To turn it into an almost-public space,” said Rodrigo Marcondes Ferraz, partner at FGMF. The hotel lobby thus became an internal street of sorts, open to pedestrians, and common areas are a community hub. 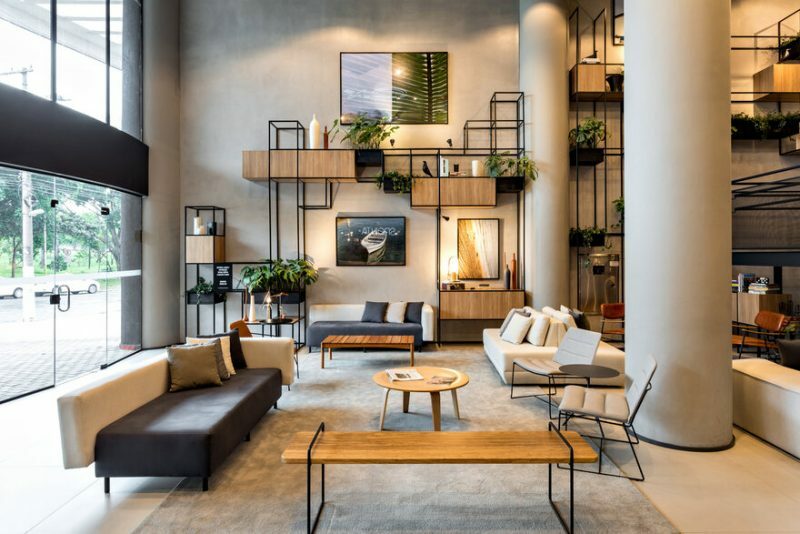 Both common areas and rooms will have a contemporary design, with an industrial touch, seen in metal plates, cement-based paint and exposed fixtures. 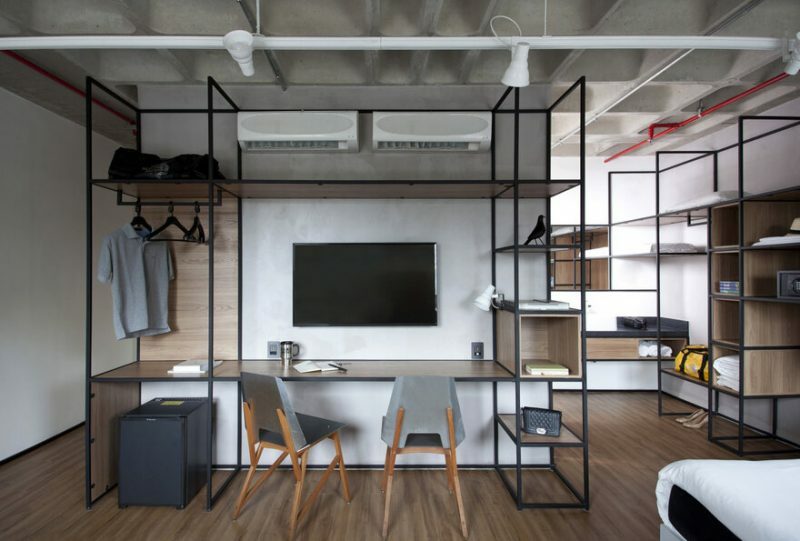 The firm’s suggestion was to make rooms more user-friendly, with a modern and casual look. 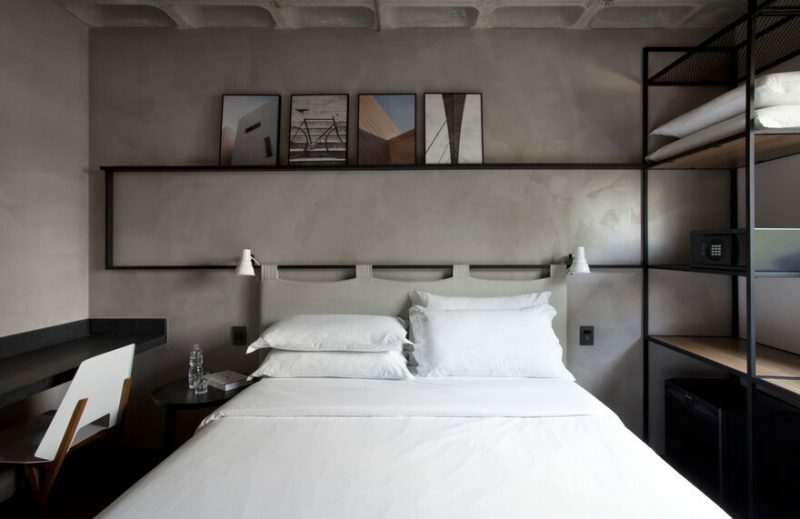 For the bedrooms, the firm designed chairs, headboards and an open metal rack to replace the closet, creating a more flexible room that guests may use as they please. “The rack may be used to store objects, hang clothes, and even as a table for a quick meal,” explained Rodrigo. Thinking about families and larger groups that choose to share a room, the firm developed bedrooms with 4 and 6 beds and an additional bathroom, as well as concept-rooms with double ceilings. 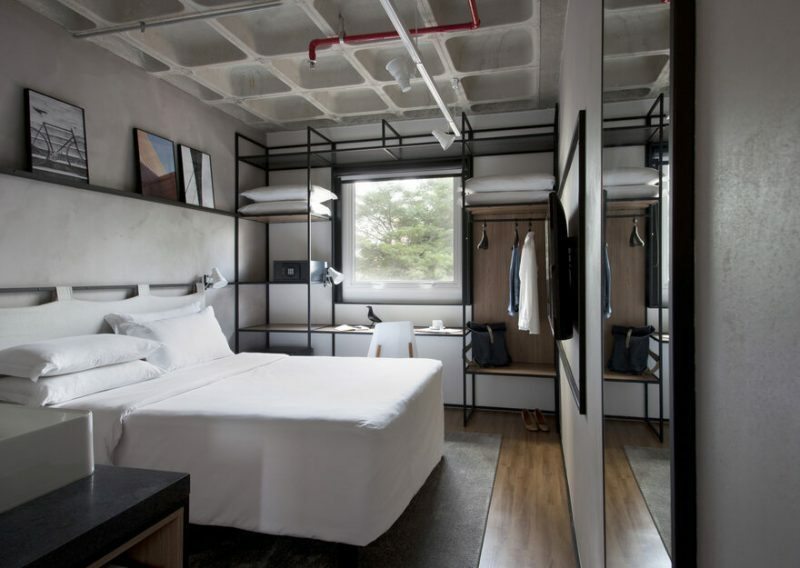 The firm’s design was already implemented in Ibis São Paulo Morumbi’s bedrooms, Ibis São Paulo Expo’s lobby, and the first hotel with this new design is already under construction in Porto, Portugal.